We have all been there. You are in the zone when it comes to your diet and exercise program and have not missed a beat for weeks or even months and it happens: you have to go out of town and your routine is suddenly thrown through a loop. Well, fear not because with these tips, you will be able to stay on the right path and continue your good habits. Finding a place to work out is the first step in exercising while out on the road. Whether in your hotel or somewhere close by to where you are staying, find some place to get your sweat on. Do not wait until after you are there as you will likely have many other obligations to tend to and looking for a gym or fitness center requires time you may not have. Attempting to wait until the end of the day to exercise can result in you being worn out or tired from the day’s activities leading to a skipped workout or exercise session. You may have to sacrifice an hour or so of sleep, but it is well worth it to get your exercise in for the day. As the day progresses you will inevitably become busier or want to do more things while you are out of town or on vacation. Take it from a man who does his workouts first thing in the morning on the weekends, no one (my wife and kids) misses me while they are sleeping and the same will go for your travel mates, friends, family, and co-workers so get up an hour early and get your sweat on. If at all possible, pack your own nutritious snacks to help curtail your hunger in between meals. The last thing you want to do is be a ravishing hunger monster by the time you sit down for a meal at some restaurant as this often leads to poor or high calorie food choices. Packing snacks can help you fight that inner hunger monster and give you the willpower to make better food choices. In addition, you will be less likely to snack on high calorie junk foods while you are out if you have packed your own snacks. If time allows it and your hotel room is equipment with a kitchen, go to the store and prepare as many meals as possible at your hotel room. Now, I know vacations and/or trips are usually centered on social food gatherings, but if you can make at least one of your meals nutritious and low calorie at your hotel room, you can do significant damage control when it comes to your calorie intake. When you eat out, you are at the discretion of the restaurant and their chefs so the more of your nutrition that you yourself can control the better. If you have the time, prepping meals at your hotel can save you a great deal of calories. My co-worker Rachel use to say this all the time and she was right on the money. If you are out at a restaurant and it comes to the table for free, do not eat it. Better yet, ask the waiter or waitress to remove it from the table as freebies at restaurants more often than not are loaded with empty calories. This is an extremely easy way to avoid extra calories so remember if it comes to the table for free, do not eat it. #6. Choose Steamed, Grilled, Baked, or Broiled. Even after all the aforementioned, sometimes you are stuck at restaurant without any idea on what to order. By choosing foods that are steamed, grilled, baked, or broiled, you are at least choosing foods that have not had calories added to them simply by the way there are cooked. The alternatives such as fried foods, can add a tremendous amount of calories that could possibly end up on those hips or waistline. This seems pretty easy to do, but it takes a lot of willpower. Sure you want to order the French fries and who wants to pay for “diet” foods such as vegetables when they are enjoying the night out, but doing so will save you calories and spare some of that hard work you have been doing in all the weeks leading up to vacation. However, be sure your vegetables are NOT loaded up with butter or oil as this turns these low calorie delights into high calorie nightmares. This one is very simple. If it comes topped with a sauce, order the sauce on the side. This will allow you to control how much of the sauce you actually consume. Otherwise, it is completely up to the discretion of the chef when it comes to how much sauce (aka how many extra calories) your food is going to be topped with. Do yourself a favor and order all sauces on the side. Not only is water an appetite suppressant, ordering water means you are less likely to drink something else with calories. 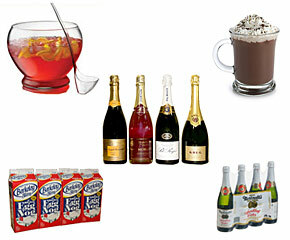 Liquid calories add to the bottom line in terms of caloric intake and are not very satiating or satisfying. Keep your body well hydrated by drinking plenty of water and you will inevitably consume fewer calories. Alcohol is counter-productive when attempting to lose weight because it reduces the rate fat oxidation (fat burning), has 7 calories per gram, and it influences people to make bad food choices. If you cannot avoid it altogether and feel the need to have a drink while on vacation, do not overdo it as it may lead to you undoing your previous weeks’ worth of hard work. 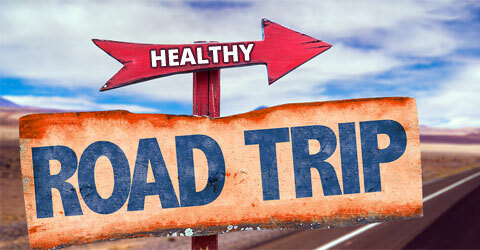 Unfortunately, sticking to a diet and exercise program without any bumps on the road can be hard when traveling. However, implementing these tips can help you maintain and keep you from ruining your previous weeks’ worth of dieting and exercise efforts. Ultimately, the sooner you return home and back to your normal routine the better off you will be, but in the meantime do yourself a favor and do some damage control.